Check out all the awards from last school year 2016-17 here. CONGRATS SWIM & DIVE TEAM! 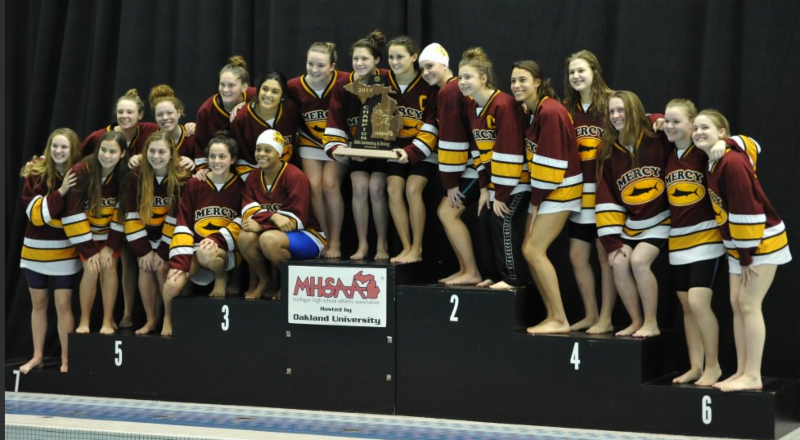 Mercy won the Michigan High School Athletic Association Division 1 Girls Swimming & Diving Championship with an outstanding State meet November 18 at Oakland University. In celebration, we all enjoyed an extended Thanksgiving vacation. Way to go, Marlins! What an achievement to play a sport at the college level! 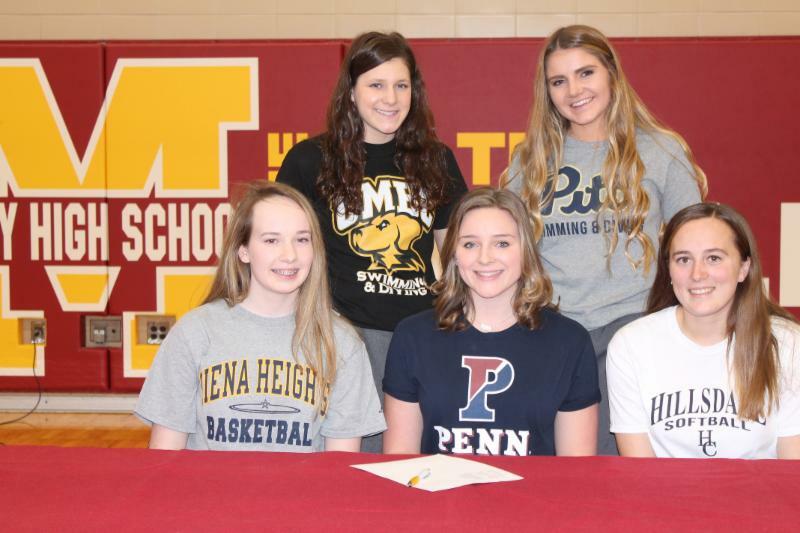 Big CONGRATULATIONS to our senior college bound Marlin athletes: Brooke Madak - Basketball, Siena Heights; Anna Dixon - Softball, Hillsdale; Alexa Rybicki - Diving, University of Pennsylvania; Mya Loniewski - Swimming, University of Maryland (Baltimore Cty); Kendall Goit - Swimming, University of Pittsburgh; Katie Minnich - Swimming, University of Michigan. Good luck, girls! More seniors from the Class of 2018 are headed to continue their athletic career in college! A big CONGRATULATIONS and GOOD LUCK to these senior college bound athletes: Jenna Bratke- Synchronized Skating, Adrian College; Isabella Dugas- Basketball, St. Mary's College; Emily Engler- Soccer, Valparaiso University; Corinne Fereshetian- Synchronized Skating, Adrian College; Kristin Jackson- Tennis, Fayetteville State University; Caitlin Jefferson- Volleyball, Wesleyan; Chloe Russo- Soccer, Jacksonville State University; Jenna Schluter- Soccer, Valparaiso University; Sara Swaneck- Cheerleading/Stunt, Alma College. *Lacrosse became MHSAA Sport in 2005.